The inviting need of internet is unceasing that online banking, online shopping, online tutorials and much more are done at an effortless ease much instantly. We depend so much on the internet, that we as users feel handicapped without such a magnanimous virtual connection. We only see internet has a virtual treat of information but it is also a platform for the cyber criminals to exploit your intention of using the internet. They create ways and bring in ideas to disrupt and interfere the normal flow of transactions that are dealt between the user and the server. So by this means the user’s information are stolen. Now how do you go about protecting your information online. Here are the 10 commandments that you need to follow to protect online safety. Cyber criminals make PC infections much easier by alluring users just by sharing suspicious but attractive links through emails. It is difficult to distinguish such emails from the genuine ones. Keep it as a hard and fast rule to stay away from clicking such links and also educate yourself to understand, identify and differentiate suspicious emails from the legitimate ones. Criminals track your activity online and send you crafted mails that pulls your attention and hence you become a victim. Users are bound to create online accounts with unique usernames and passwords to secure their communications and transactions done over the internet. Maintaining and memorizing the usernames and passwords of all the online sites is hectic. 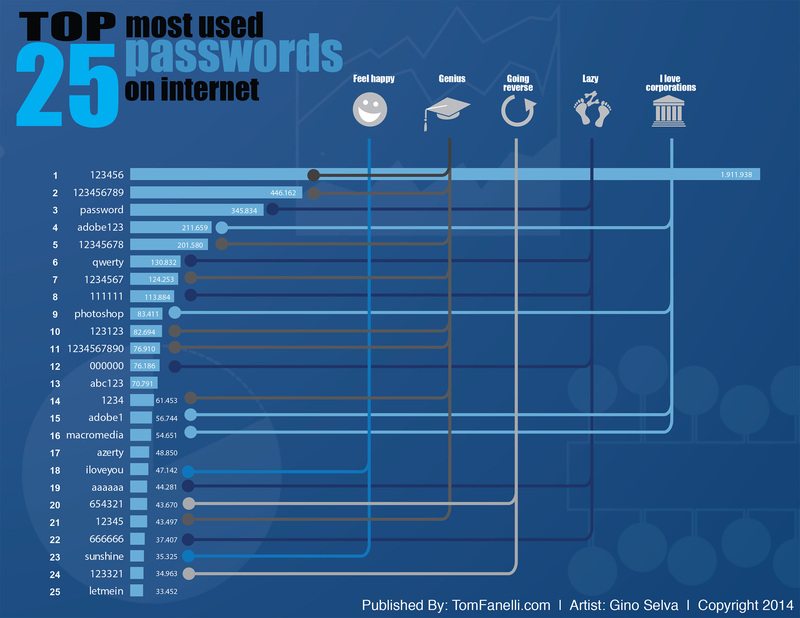 So most of the users tend to use a similar username and password across all the accounts. This takes the user to the dangerous zone which is easily accessible by the hackers. It is an important aspect to look upon, all your credentials are sensitive to get into the hands of the hackers. You cannot predict on how your information is going to be stolen. The only way to protect yourself is to act smart while creating a strong defense line. How can you go about it? – A strong and effective complex password is your helping hand. To define the complexity of a password, use a combination of letters – lower and upper case, numerals and some characters. Do not use a meaningful word as your password. The password should literally have no meaning to it. Use of starting letters of a phrase or use of some special characters and numerals in addition to letters and more. If you are out of the track and if you are less confident to find a really complex one then choose to use a password generator. and find ideas to memorize it. This can help you stay away from hackers. Security experts are squeezing out their brains to fine tune their virus descriptions in line with the latest zero day threats for the antivirus software to defend even the latest zero day threats. The use of security software like antivirus is a basic ethic to follow, hence to protect yourself and your system from any virus infection. There are a range of antivirus software available in the market – free antivirus, paid versions, customized antivirus software and more. Choosing the right one will help you stay safe online. If any a chance you happen to miss your device and you have not locked your phone, it becomes a Christmas day for the criminal who has stolen your mobile or your tablet device. Key in a password or a pattern lock that cannot be cracked in case of phone loss. The current mobile experts are working on the biometric scanning technique for additional security in future. It is a common sense to follow this rule, just avoid downloading desktop wallpapers, games, music or any other software from unknown suspicious sites. Hackers try and infiltrate into the PC through such suspicious downloads. Most of the social media websites like twitter, facebook, whatsapp and more ensures to provide you with an unique code that is just unique and stays active only for a specific time frame. This is like a double layer protection of your user account, making it complex and tedious for the hackers to access your account. You might go crazy if you find a free Wi-Fi connection available at your service, be it coffee shops, airports, malls and any other place of that sought. Public Wi-Fi hotspots does not encrypt your information. So either use a public Wi-Fi if your browsing information that does not deal with private and sensitive information or just avoid using it. Do not take a chance to save your credit card information on any of the websites for easy future use. You might end up being a victim of mass security data breaches. Once you are done with sending emails or checking your facebook updates or once you have completed your banking transaction, make sure that you logout from the account. This is one simple way of saving your files and information from hackers. Malware authors trick the innocent users by flashing attractive popups and hence direct the users to some suspicious websites or initiate a malware installation on the system behind the scene. Pop-ups are most often malicious codes that are meant to infect the system.